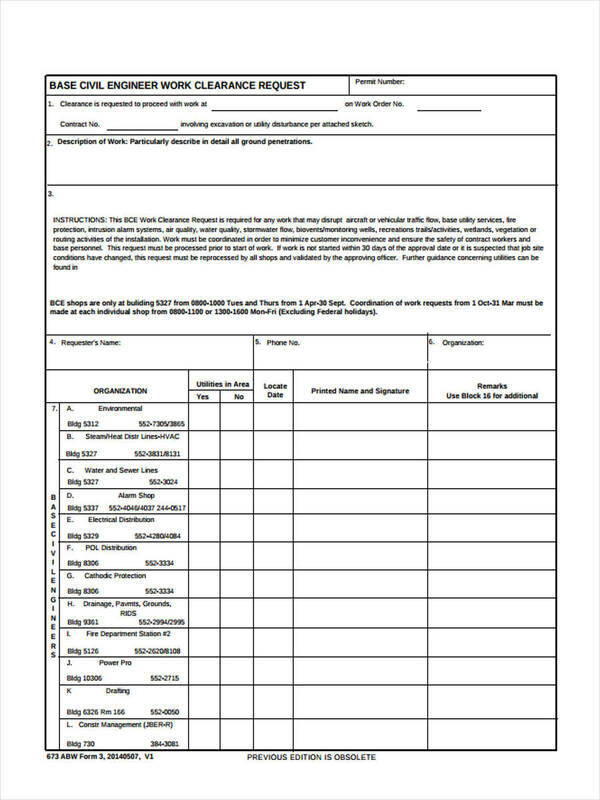 A work clearance form is a type of form used to check the credentials and qualifications of an individual to continue working at the organization. It is basically a type of performance clearance whose main purpose is to ensure that the person has enough experience and or skills in performing the assigned task. 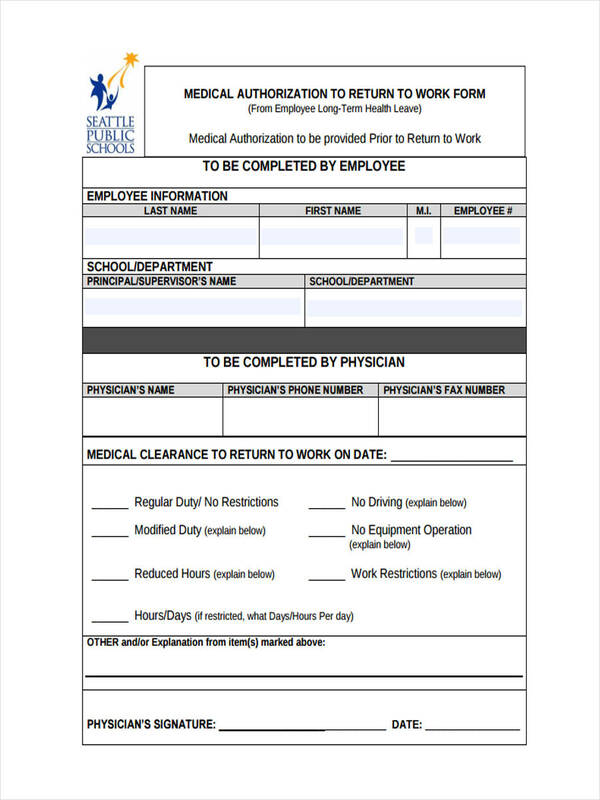 A work clearance form is typically used as a form of security clearance form in the sense that it limits the number of people who will access or complete a task to only people who are skilled enough to accomplish the task. 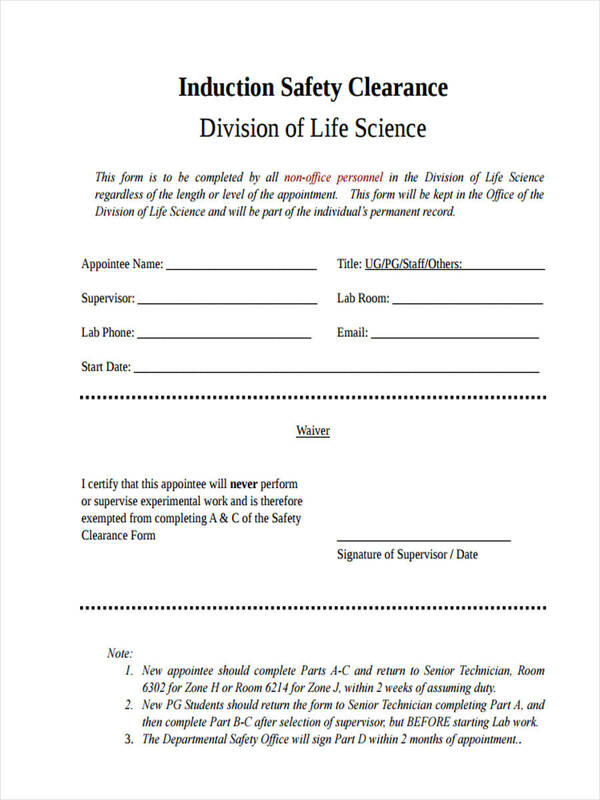 What is work clearance management? A work clearance management is, as the name suggests, a type of management system used to determine one’s work clearance or staff clearance, and can be used to either update or revoke a person’s work clearance. This functions somewhat similarly to what you would consider a promotion and a demotion. This is usually done in accordance with the person’s work performance and/or work ethics. A work clearance management is also used as a means of, as stated above, keeping the list of employees with certain clearance levels up to date in order to avoid any confusions with which employee can work at which specific areas of the organization. 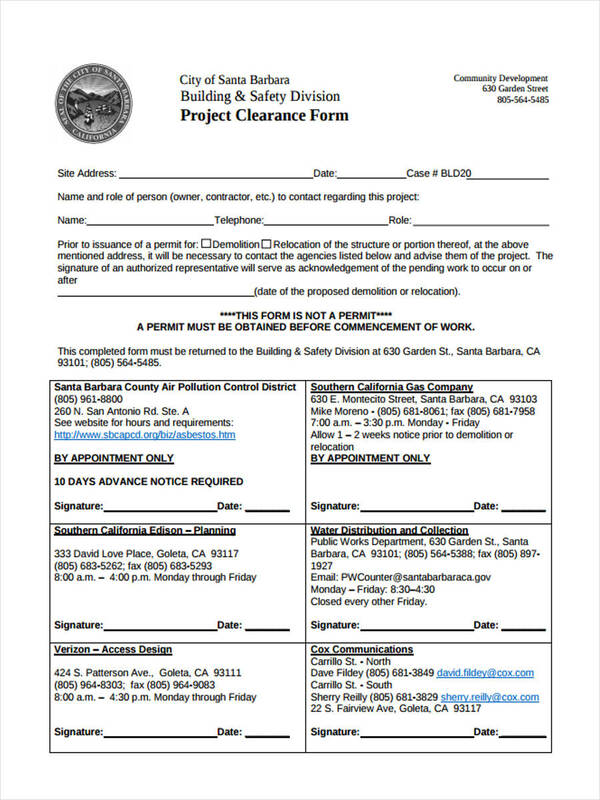 How to Write a Work Clearance? Identify yourself as the employee of the organization. Identify the job position of the employee. Basic information of the employee. Information and qualifications about the employees. Medical information of the employee. Before we can begin answering the question on how to apply for a working with children check clearance, we would need to know what a working with children check clearance is. 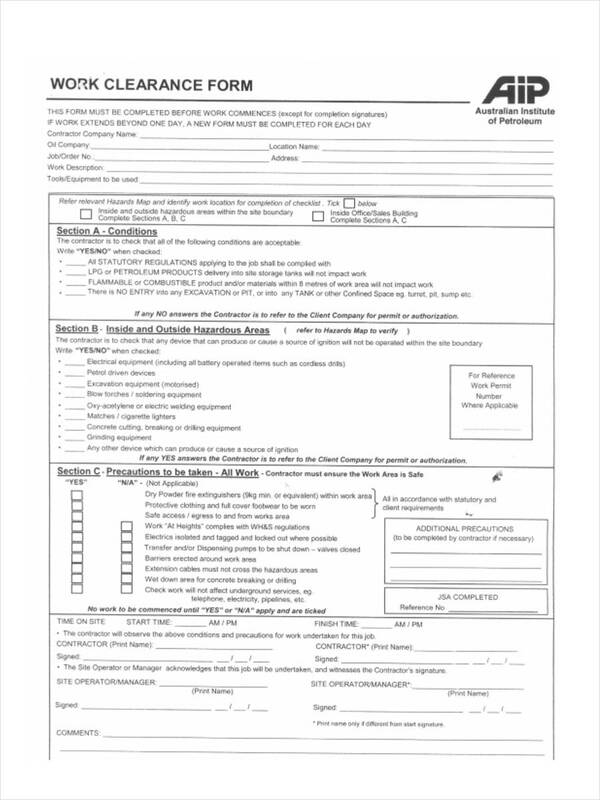 A working with children checks clearance is basically a background check for people whose job is required to handle children (teachers, tutors, babysitters and etc. In terms of doctors a Medical Clearance Form is needed instead.). This is done so as to ensure that the individuals who will handle the children will not pass on any negative traits to the children. To apply for a working with children check clearance you will need to submit yourself to a routine inspection to a certain government agency and allow them to examine your complete background so as to determine the legitimacy of your request. 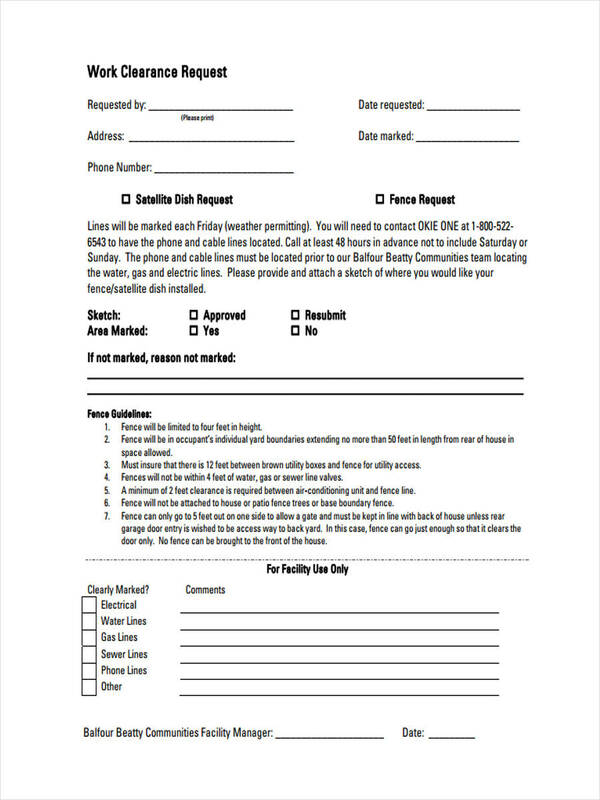 After being submitted to a routine inspection be prepared to wait for a certain amount of time as your request is being examined and processed by the necessary officials. 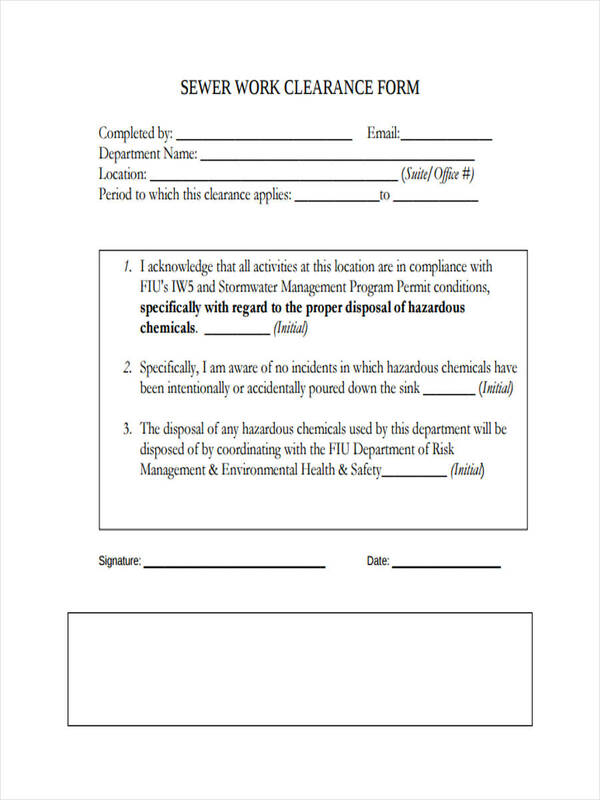 Regardless of what kind of clearance form you are using it can be said that clearance forms are a necessity in terms of security of an organization.